January offers a bonanza of events encouraging local Christians to unite: to learn, worship, pray and undertake mission together. The annual Week of Prayer for Christian Unity (January 18 – 25) sets the tone, and no doubt is the reason for two of the other events happening at this time. That’s the good news. The bad news, for keeners at least, is that (the bulk of) those two events – ‘Unity not Uniformity, Diversity not Division’ and ‘Christian Unity: Have We Answered the Call?’ – are being held on the same day! Attending either one will still be a valuable experience. Perhaps, once the dust settles, the organizers can get in touch and put together a joint event in the future. Three Richmond churches are working together to put on Unity not Uniformity, Diversity not Division, “a seminar exploring Christian unity and the diversity of witnesses which form the woven fabric of faith traditions.” On Friday night (January 16), keynote speaker Gordon T. Smith will address ‘The Unity of the Church: A Matter of Theological Conviction,’ at Richmond Alliance Church. Gordon T. Smith is the main speaker at Unity not Uniformity, Diversity not Division. The rest of the event, on Saturday the 17th, will be held at The Tapestry on No. 2 Road. (The third partner is Emmanuel Christian Community.) Topics that day include ‘Unity, Diversity and the Glory of God’ and ‘Vatican II – 50 years later: An Evangelical Response.’ There will also be several afternoon workshops. Smith, now president of president of Ambrose College and Seminary in Calgary and formerly academic dean of Regent College, has these areas of interest: the nature of conversion and religious experience, spiritual discernment and effective decision-making, the sacraments, and the question of calling and vocation. The two-day event is free, but organizers would like participants to register. Christian Unity: Have We Answered the Call? 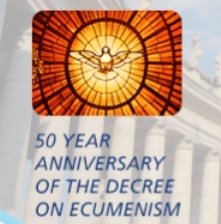 The Roman Catholic Archdiocese of Vancouver will mark the 50th anniversary of the Second Vatican Council’s Decree on Ecumenism with an ecumenical prayer service and keynote speakers. Christian Unity: Have We Answered the Call? takes place Saturday, January 17, at St. Francis Xavier Roman Catholic Church in Vancouver. Presentations will include a Canadian and worldwide overview of ecumenism before and after Vatican II’s Decree, the importance of dialogue, and practical ideas on how to start ecumenical cooperation. Keynote speakers are Rev. Thomas Rosica, CSB, chief executive officer of Canada’s Salt and Light Catholic Media Foundation, and Sr. Donna Geernaert, SC, chancellor, Mount Saint Vincent University, Halifax. In the morning, Rosica will address ‘The Decree on Ecumenism: 50 years After.’ Then an ecumenical panel will respond to Vatican II: Fr. Lawrence Farley, pastor, St. Herman of Alaska Church, Orthodox Church of America; Dr. Hans Boersma, J.I. 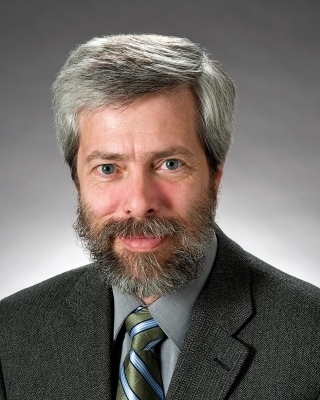 Packer professor of theology, Regent College; and Rev. Dr. Richard Leggett, rector, St. Faith’s Anglican Church. In the afternoon, Geernaert will address ‘Ecumenism Today: Fruits and Challenges.’ A panel will then look at concrete examples of practical ecumenism: Rev. Dr. Thomas Cooper, founder and president, City in Focus; Dr. Christophe Potworowski, professor, Redeemer Pacific College; Gillian Hanlon, Anglican, Focolare Movement. At least once a year, Christians are reminded of Jesus’ prayer for his disciples that “they may be one so that the world may believe” (see John 17.21). Hearts are touched and Christians come together to pray for their unity. Congregations and parishes all over the world exchange preachers or arrange special ecumenical celebrations and prayer services. The event that touches off this special experience is the Week of Prayer for Christian Unity . . . In order to prepare for the annual celebration, ecumenical partners in a particular region are invited to produce a basic liturgical text on a biblical theme. Then an international editorial team of WCC and Roman Catholic representatives refines this text to ensure that it can be prayed throughout the world, and to link it with the search for the visible unity of the church. . . . The final material is sent to WCC member churches and Roman Catholic episcopal conferences, and they are invited to translate the text and contextualize or adapt it for their own use. 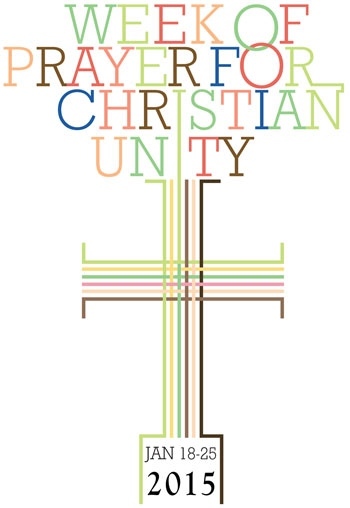 All Christians, of whatever denomination, will be welcome at any of the Week of Prayer for Christian Unity events. Every year for more than 30 years, Missions Fest Vancouver has drawn together tens of thousands of people from right across the church spectrum to consider how their faith might work itself out in the surrounding community or around the world. It will be back January 30 – February 1 at the Vancouver Convention Centre. This year, Mission Fest’s theme is Across the Street: Around the World, with keynote speakers Soong-Chan Rah, Micah Bournes, Ede Clarke and Lawrence Tong. If you are looking for a ‘concrete example of practical ecumenism,’ the Missions Fest weekend fits the bill perfectly. While you’re at Missions Fest, make sure you stop by the Voices Together booth. Senior leaders are working hard to prepare for another large worship event on Canada Day (similar to the one held in 2013). Again, ecumenism in action. Ironic, isn’t it? Even our efforts to promote unity are fractured. I like your idea of perhaps working together next year.